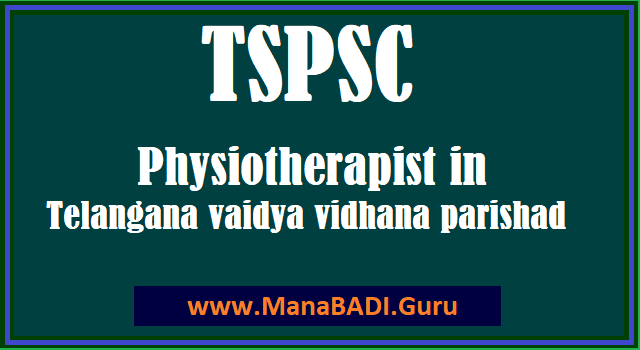 Must have passed Bachelor of Physiotherapist (BPT) from a recognized institution / Affiliated to any University recognized by UGC. If candidates with BPT are not available for recruitment then candidates with BA/ B.Sc/ B.Com or its equivalent graduate examination recognized by the Govt. and with training in electro-therapy or physio-therapy or physical Training with special preference to massaging for at least two years from a Govt. recognized institution shall be considered. The Upper Age limit will be relaxed as per Rules. III STEP: Immediately on entering the above details, the applicant will get payment gateway of SBI ePay. V STEP: After payment of fee, the PDF Application will be generated which contains the particulars furnished by the candidates. The ID No in the PDF Application form has to be quoted for future reference/correspondence. As per the Selection of procedure, it consists of Weightage of total 100 points. In which maximum 70 points will be given to Written Examination conducted for 150 marks and maximum 30 points will be given to Experience of the candidates based on their Government Service. 4.The Examination is likely to be held in the month of January 2018.